Des Rock ROCKS again!!! On Saturday, March 23, we held our annual fundraiser dinner, Heart to Heart, at the Useless Bay Coffee Company in Langley. With a Valentine’s day theme, it had been postponed from February 9th due to snow and ice, but the heart theme was carried over by students from the South Whidbey Elementary School with charming, colorful, and engaging decorations. Our heartfelt gratitude goes to Des Rock and his staff for hosting the event, supplying the food, and preparing a delicious gourmet dinner for the event. Thanks also to South Whidbey Elementary School art teacher Valerie Heggenes and her students who created the beautiful works of art that served as our decorations and to Vice Principal Susie Richards for sharing how much WIN means to students at the elementary school. And most of all, thank you to our volunteers and our donors! The impact of their contributions ripple throughout our community and make a difference in the lives of many young people and their families. 22 local non-profits (including WIN) received a total of $263,400 in grant funding from Goosefoot during 2018! 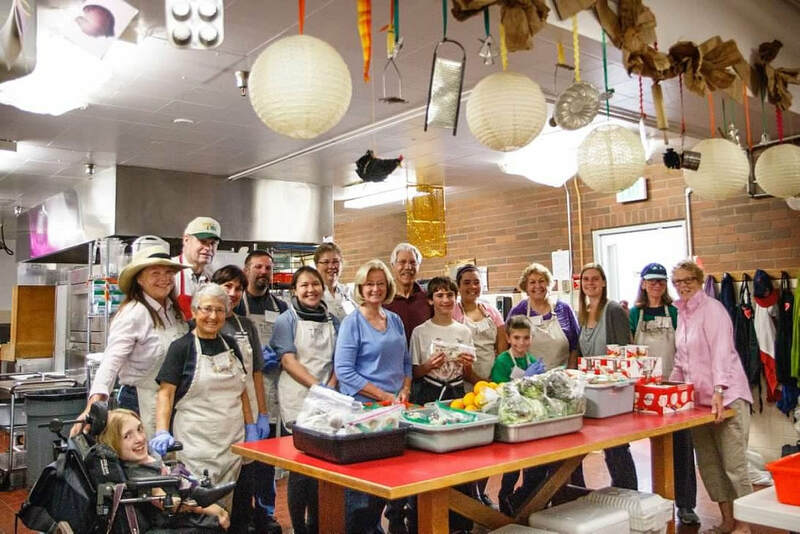 The Goosefoot Community Fund have announced that they were able to distribute $99,400 in funding to 16 organizations* through their annual Community Grant Program. 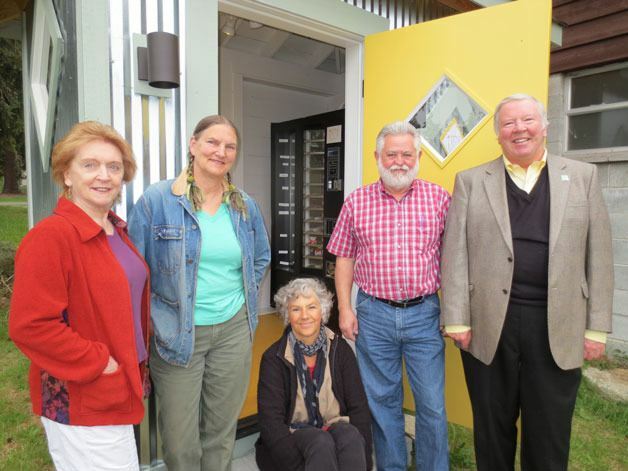 Thirty-two funding proposals were submitted by organizations whose projects are in alignment with our mission to build a sense of place and community, preserve rural traditions, enhance local commerce, and help create a healthy, sustainable future for South Whidbey Island. In addition to their Community Grant Program, Goosefoot donated $164,000 to six other non-profit organizations earlier this year. 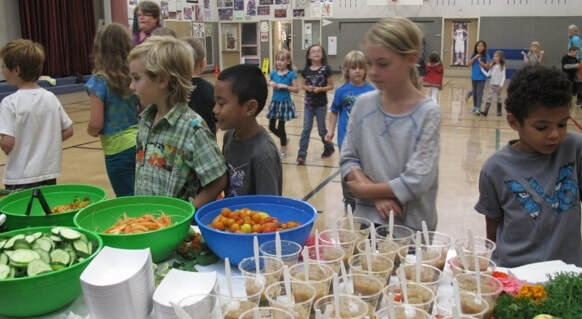 The Organic Farm School and South Whidbey School Farm received monies from multi-year grants given before Goosefoot’s charitable giving program was formalized in early 2017. 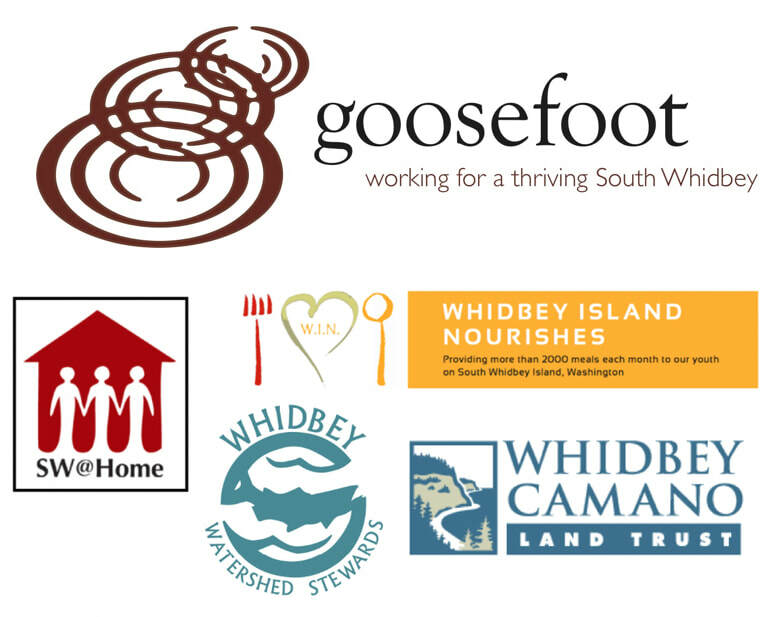 South Whidbey at Home, Whidbey Camano Land Trust, Whidbey Island Nourishes, and Whidbey Watershed Stewards all receive annual funding in their capacity as supported organizations of Goosefoot. 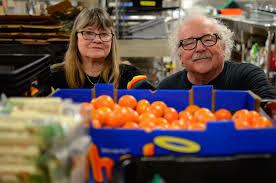 As such, each group appoints two members to Goosefoot's board of directors to contribute valuable experience on how to best direct the organization’s philanthropy to fulfill its mission on South Whidbey. It rained and then it rained some more, but then the clouds parted and the sun came out just in time for Sock Hoppers to gather Saturday, August 11th. The Heggenes Valley Boys, with a surprise visit from Elvis, had the guests rockin' and rollin' to toe-tapping tunes. Upper Left Catering grilled a delicious feast with help from the Organic Farm School, Deep Harvest Farm, and Foxtail Farm. In true '50's fashion, an ice cream sundae bar topped things off, made possible by Whidbey Island Ice Cream Co. Thanks to Jim Freeman, whose joyful auctioneering encouraged folks to raise their paddles high, to our local vendors who provided goods and services for the auctions, to Don Wodjenski for capturing the fun on pictures, and to Randy Hudson and Georgia Gerber who shared their home with us once again! 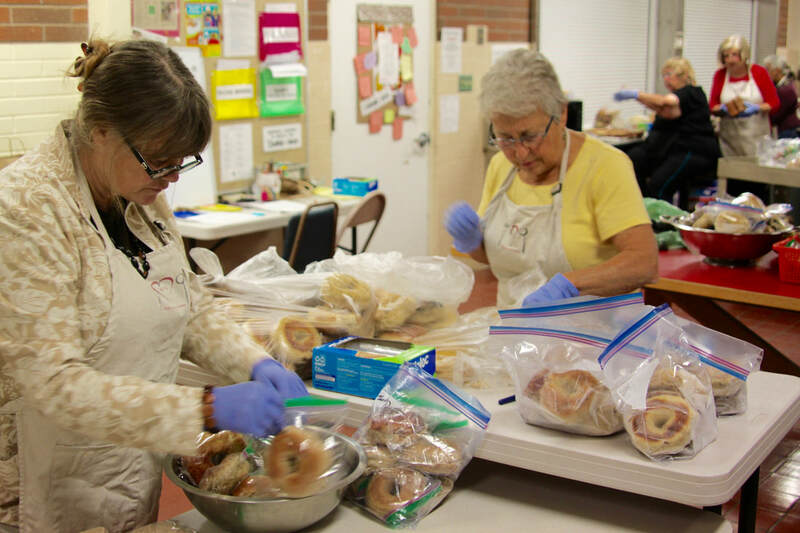 WIN volunteers are gearing up for another school year of preparing and delivering nutritious meals to our South Whidbey youth. It is all made possible by our generous community. 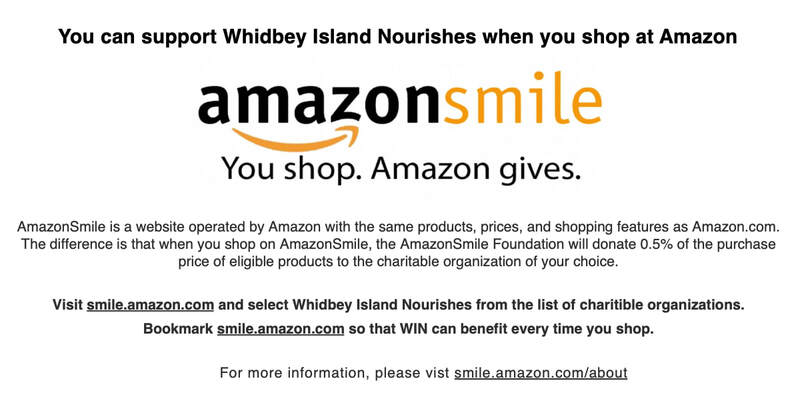 A big THANK YOU to Whidbey Telecom! Community support is the heart of our program and we are so grateful to serve those in need with the continued help of friends like Whidbey Telecom. WIN is ready to “Shine On into their next Decade!” because of the generosity of so many folks at this year’s Heart to Heart benefit. Des Rock opened the doors of Useless Bay Coffee Company to WIN for their annual event and served an “out of this world” 5-course meal that thrilled the lucky guests. 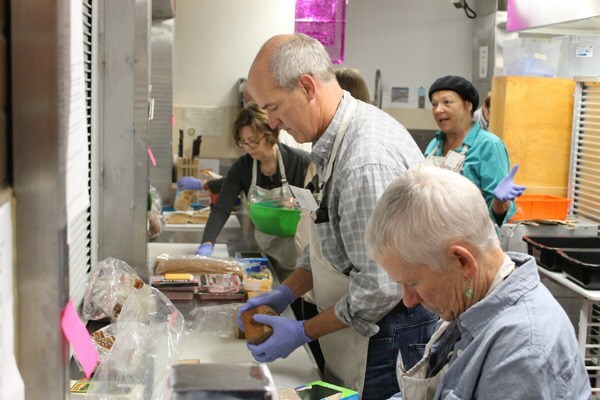 Jim Freeman, Master of Fun, led live and silent auctions and kept everyone laughing and chatting as they generously gave to fill the pantry for the meals that WIN volunteers prepare and provide to the children on South Whidbey. Unending thanks & deep appreciation goes out from the WIN Board, staff, and volunteers to our community that supports our efforts to provide nutritious meals to our children! Our wonderful WIN supporters enjoyed an evening of “western” fun at the home of Georgia Gerber and Randy Hudson. What a party! Feet were tapping and dancing to the great sound of Rusty Fender and the Melody Wranglers, while Josh and Shane of Upper Left Catering spoiled us with BBQ and all the delicious fixins’. Jim Freeman, our emcee extraordinaire, led an exciting auction filled with laughs and a heap o’donations to keep our pantry filled. To make our event extra special this year, Whidbey’s Organic Farm School donated the veggies for our buffet, Knead Bread from the Bayview Farmers’ Market provided our bread, Blackberry Moon Produce showered us with organic fruit for our pies, and Aaron Racicot served his special home brewed beer. We were lucky to haveColin Sulgrove and Boelle Bonadonna. snapping photos of the excitement. 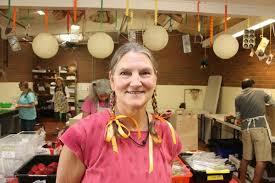 No doubt about it, our volunteers were rootin’ and tootin’ all week making pie, ice cream, and back porch lemonade. Many helpers pitched in with set-up and clean-up, too. It was an amazing team effort – we couldn’t have done it without every single set of hands!